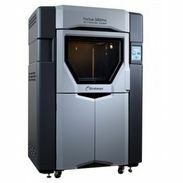 For rugged prototypes that function like your end product, manufacturing tools that deliver under pressure, and production parts built on-demand, Fortus 380mc 3D Printers set a high bar for speed, performance and accuracy. 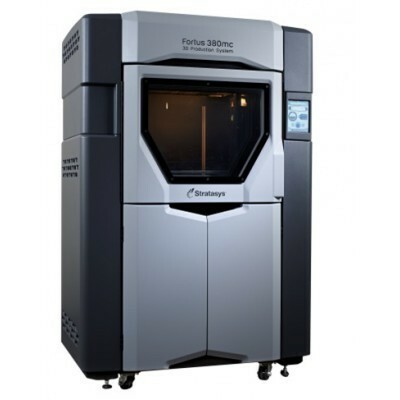 Fortus 380mc 3D Production Systems represent the latest FDM® advancements, with superior ease of use and the ability to build complex parts faster than previous systems. Using FDM technology, which builds parts layer by layer from a CAD model using a variety of production-grade thermoplastics. With FDM technology, the traditional fabrication process is substantially simplified. Toolmaking becomes less expensive and time consuming. Intricate designs that are impossible to make with conventional tooling are now possible. As a result, manufacturers realize immediate improvements in productivity, efficiency and quality. FDM technology also lets you to choose from a wide range of production-grade thermoplastics, each with specific qualities to meet your manufacturing needs. 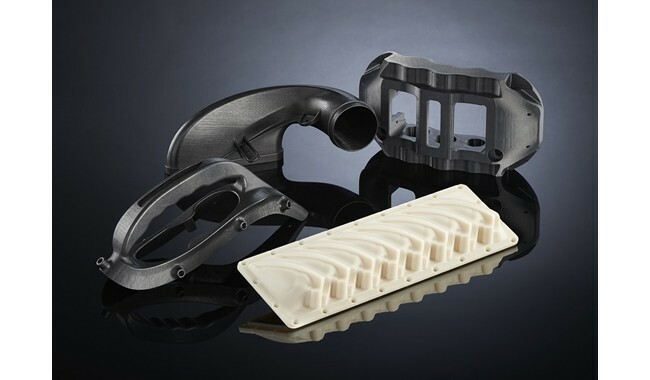 Whether it’s the familiar family of ABS thermoplastics or advanced materials certified for aircraft components, biocompatibility or food contact, there’s an FDM material that will meet the challenge. Whether you’re developing prototypes or end-use parts, the resulting component is made from the same durable material as traditional injection moulded plastics. ST-130 for sacrificial mandrels that withstand the heat and pressure of composite lay-up and dissolve easily from hollow part interiors. For maximum material capacity on the Fortus 450mc, Xtend 500 Fortus Plus material boxes are available for ABS-M30 (ivory and black), PC (polycarbonate) and their support materials. Each box contains 500 cubic inches (8194 cubic centimeters) of thermoplastic, so the 450mc can run nonstop for over two weeks without changing material.